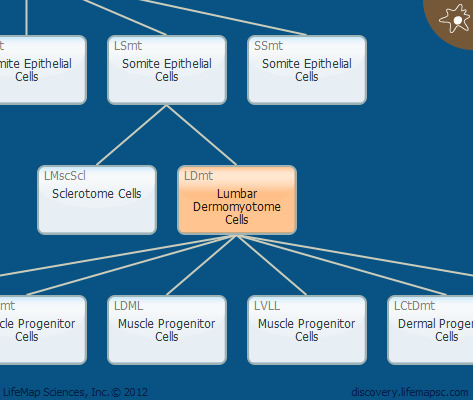 Dermomyotome cells are epithelial cells that arise from the dorsal part of the epithelial somite and form a transient epithelial structure. These cells maintain their epithelial state due to the signaling from dorsal tissues, such as dorsal neural tube and surface ectoderm. In contrast, the sclerotome cells located ventrally receive signals from the notochord and floor plate, which promote their de-epithelization.